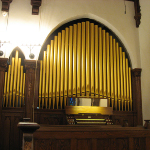 A mechanical action pipe organ is a long-term investment which, with periodic restoration or rebuilding, can give centuries of service. Andover’s reputation as the leading restorer of historic 19th century American organs is unrivaled. 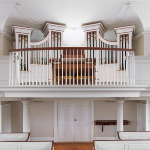 As the criteria for what constitutes an "historic" organ have evolved with changes in time and taste, we are increasingly called upon to restore "modern" historic organs. We lavish the same care and attention to detail on these 20th Century tracker and electro-pneumatic instruments as we do on 19th Century organs. We are also adept at rebuilding existing instruments, to help them achieve their full mechanical and musical potential. Occasionally, an instrument's usefulness can be greatly improved by some judicious tonal changes or additions. We take great pride in skillfully blending the new with the old. The end result can be the functional equivalent of a new instrument, but for far less cost. Below are links to articles about recently completed rebuilds and restorations. 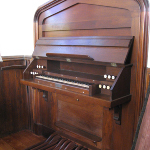 You may also view the longer Opus List Of Restored And Rebuilt Organs By State.